Let's talk about car insurance for service members. 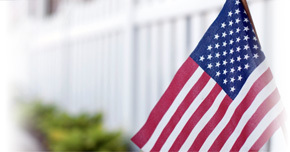 Direct Auto & Life Insurance proudly serves our armed forces with insurance designed for service members. With affordable premiums and flexible payment options,* Direct Auto is one of the best insurance companies for Army, Navy, Guard, Marine, or Air Force members who want coverage to fit their needs. Find out more about how Direct Auto finds Pine Bluff military personnel the right car insurance coverage. Direct Auto recognizes that military base residents in Pine Bluff have a variety of choices when it comes to car insurance. But when you choose Direct Auto, you'll receive an insurance plan that's built just for you and our friendly representatives can better explain all the insurance basics like state minimums and deductibles. Take for example our online tool, the Coverage Assistant. By looking to the Coverage Assistant for help, you can help determine what insurance meets your needs and monthly budget, without blowing the bank on coverage. Direct Auto also helps customers through every step of the coverage process, providing in-depth details about what your plan covers. From Collision Coverage to Comprehensive Coverage, to Comprehensive Coverage, we want our military car insurance customers to feel informed about how their plan is working for them. Many of our Direct Auto customers are on-the-go, which is why we designed the DirectDrive app.† Customers can turn to the DirectDrive app to track their driving habits and learn how to improve with real-time feedback, which earns them in-app points and could help them become a safer driver. Policyholders can even make a payment to their account through the app. Talk about convenience! In only a couple clicks, you're able to pay your Direct Auto bill, get real-time feedback on driving habits, and compete with other DirectDrive app users without taking a break from your busy day! iPhone or Android users, find the DirectDrive app for free in the app store. Ready to get started with Direct Auto car insurance designed for military customers in Pine Bluff? Contact us at 1-877- GO DIRECT or apply online to get started with your new auto insurance coverage today. † Use of the DirectDrive app is subject to terms and conditions.